So, Mauricio Pellegrino's first game in charge and he used all the obvious suspects from the first team last season. Not surprising though, he would need to see how they played together and dealt with the opposition. 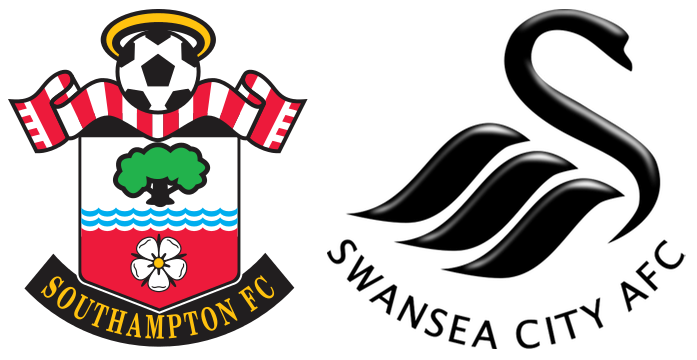 There was the oft-quoted fact that Saints have not won a home opening game since the 1988-89 season and indeed have won only twice in nineteen seasons. I am not going to do a blow by blow report, as it wouldn't serve any purpose in giving you any idea how the game unfolded. Just look at the stats, 60/40 possession, 29/4 shots, 13/0 corners. Swansea did not even have a single shot on target. This was about as complete a one sided game as you would ever see and yet it was a 0-0 draw. The conventional view is that Swansea were poor. Yes, they were, but Saints didn't allow them to play any better. Apart from the lack of goals, there was no comparison to how the team were playing at the end of last season. There was a zip and urgency in the play, but they were trying just that bit too hard in the final third. One moment really stuck in my mind. During the second half, the ball fell to Gabbiadini and I was in a direct line of sight between the Italian and the Swansea goal. When he came to Southampton last season, Manolo would have curled the ball into the far top corner, this time he hit it in a straight line straight past the far post. The Swansea players were crowding their penalty area at every opportunity and I lost count of the number of times the ball ricochet off defending player. Oh yes and Fabianski had a good game in the Swansea goal. In amongst the frustration there were some beacons of light. Jack Stephens was having a great match. Again. He just continues to get better and better every time I see him. Our ManU supporting friend was with us again and he said (not for the first time) that he was our most naturally gifted player on the pitch. Romeu was also having a good game. There were gasps of astonishment and mock surprise when Forster came off his line to deal with a wayward ball. Then it happened again, good god, he even came outside of the penalty area a couple of times! So, it was opportunities missed and two points lost. Saints haven't scored at St.Mary's in a Premier League match since James Ward-Prowse scored in the 85th minute of the the Crystal Palace game back on the 5th April. That is six whole games without scoring. That equates to more than 540 minutes of game time. In spite of all these negative facts, I am really upbeat about the season. The team are creating chances and the goals will come, confidence will grow and more goals will follow. I like our new manager already and as we drove away from St.Mary's, we listened to his interview on Solent and I realised that it was the first post match interview that I have actually understood since the days of Ronald Koeman.